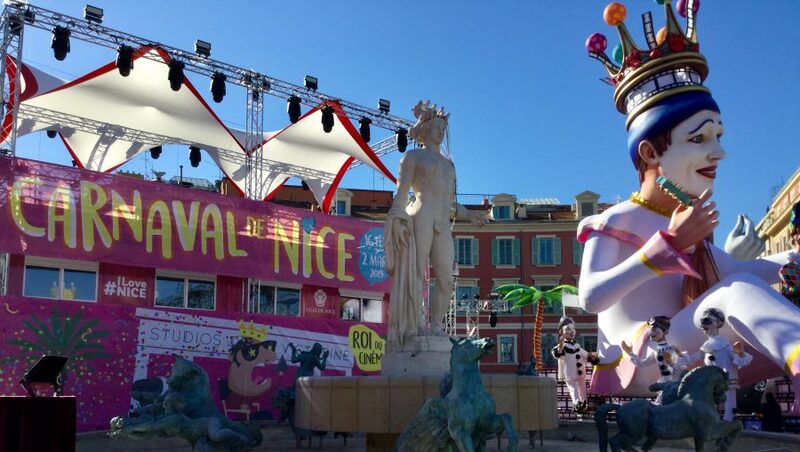 On the rare occasions I take a trip into Nice, I always reflect that I don’t visit nearly often enough. I generally try to steer clear during Carnival, as the traffic is horrendous. 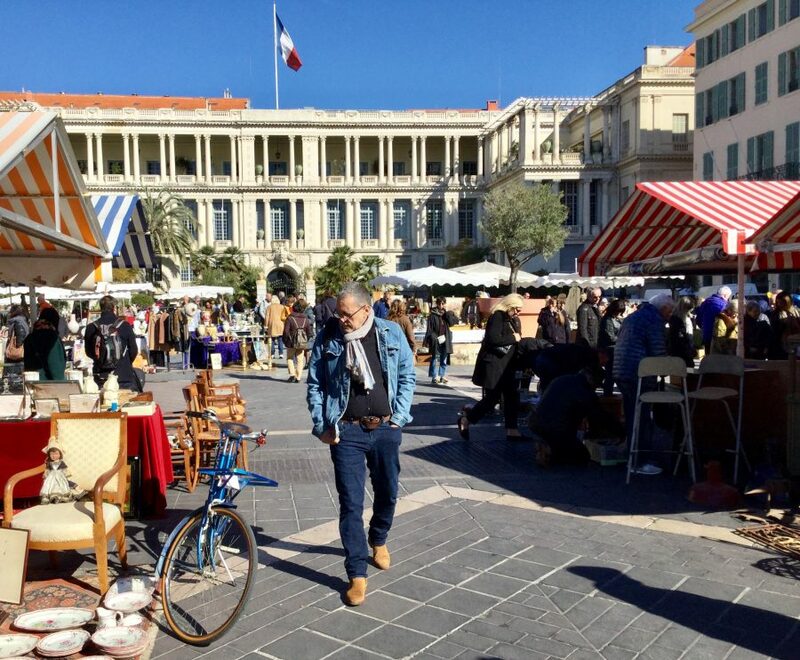 Recently my beloved met with a business colleague in Nice on a Monday during Carnival (Parade-free day) which gave me a rare opportunity to visit the Cours Saleya and have a poke around its Mondays-only antique market – better stalls tend to be found towards the centre. I’m always on the lookout for old linen tablecloths large enough to fit my table, cookery and cycling books, cycling posters and silverware. 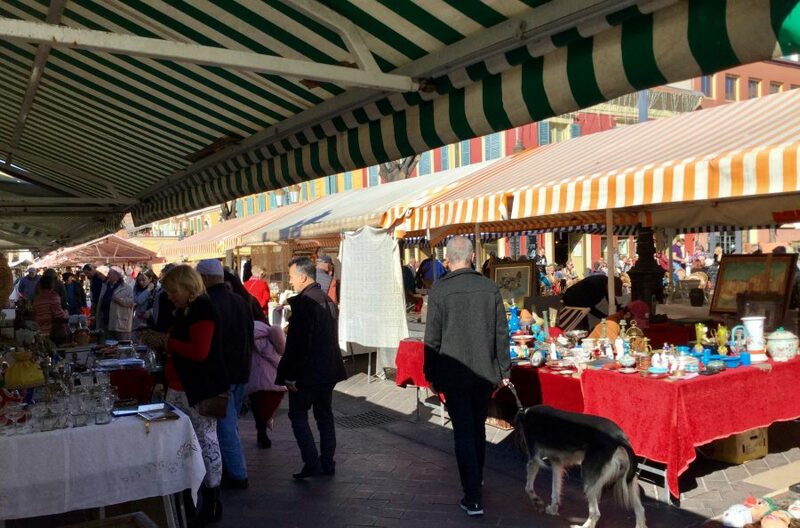 This time I was also looking for some fine wire to repair one of my chandeliers and there’s a stall towards the rear of the market which sells bits to repair chandeliers but, sadly, not fine wire! The weather was wonderful and as usual there was a veritable babel of foreign languages. After leaving the market empty-handed, I had a mooch round a bookshop before heading for lunch at one of Nice’s newer lobster bars. As you know, I’m very partial to these crustaceans. On our previous trip, in December, we’d eaten at Lobsta which had earned a thumbs up from both of us. It’s a very small restaurant in a side street off the Prom. The rolls are prepared to order and, while not a patch on those in New England, were very tasty with plenty of lobster meat. I shall definitely darken its door again. This time I tried out Super Lobster which unfortunately did not live up to its billing. The restaurant was quiet, pretty much what you’d expect on a Monday, giving the staff an opportunity to give of their best, or not. Sadly, it was the latter. Flabby, burnt sweet potato chips, burnt bun and a flat (totally unforgivable) Aperol Spritz. The bun had more additions (coleslaw and advocado) than the all-important lobster. Generally, the French do their own cuisine plus that from former colonies best. 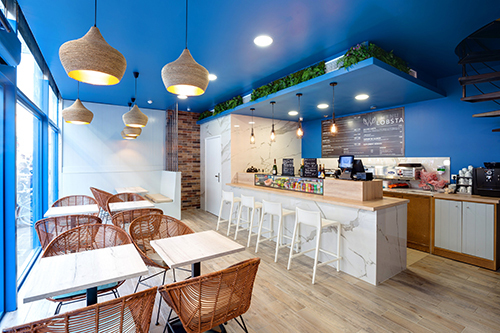 Though in Nice, because of its proximity to Italy, you’ll also find excellent Italian food. But that’s largely it. 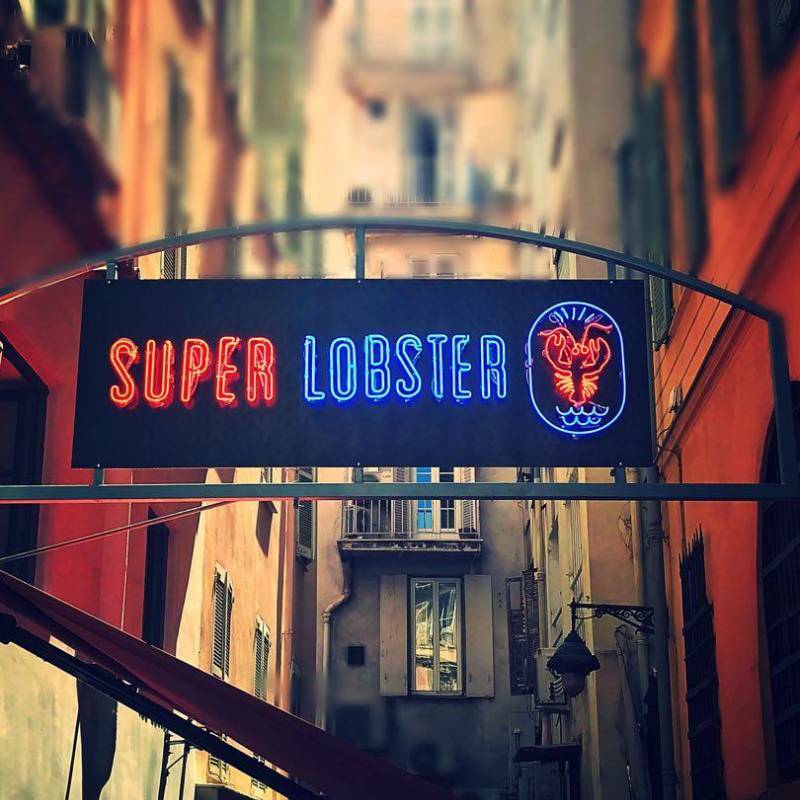 Super Lobster is in a poor location, I was hard pressed to find it and I know Nice well. Restaurants are all about location. You have to be really special to thrive off the beaten track. Its offering is definitely inferior to that of Lobsta which, while not in an ideal place, is easier to find. It’s lobster rolls are also superior, more lobster – always a winner in my book – and closer to the real thing. Cuisine doesn’t always travel as much as we’d like to think. 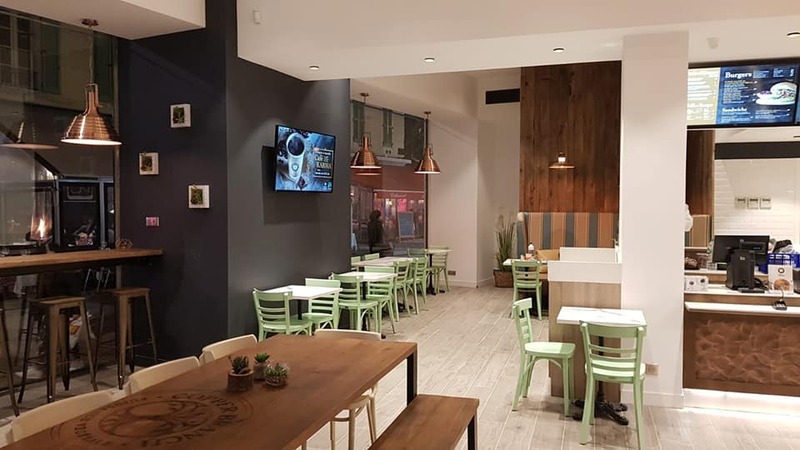 I had assumed my beloved would be lunching with his colleague but he’d not eaten when we met up which gave him an opportunity to try out another newly opened franchise The Copper Branch, this time a vegetarian offering. He tried the falafel sandwich with oven baked french fries. He found the sandwich underseasoned though its garlic aioli dressing was overpowering – I can atest to that!. The first portion of chips were cold but a replacement hit the spot. This restaurant is in the main drag and its salads looked very enticing. I’ll be giving it another go but it’s unlikely to deplace vegan restaurant Gorilla in my affections. Postscript: We tried out Lobsta again during the recent Paris-Nice bike race. The menu is now better focused, shorter and, more importantly, the lobster is still delicious. Great tips! and photos! I hope to go to Nice, thank you. Let me know when you’re planning to visit and I can send you tons of info. Thank you, I will! I don’t think it will be this year as we are going to Lisbon in June and the Canaries in September, but a real possibility for next spring! I love good quality lobster rolls. I’ve had them mainly on Cape Cod, where I know two places that prepare them excellently. See you! Neil, I too have eaten lobster and lobster rolls all over New England and Long Island. I once famously ate lobster every day on a two week vacation in New England. My favourite was a freshly fished, still warm lobster from a seaside shack in Anisquam. Sadly the food didn’t live up to its name at Super Lobster, Lobsta’s much better, but neither are a patch on lobster rolls I’ve eaten on Long Island and in New England. Oh, and crab cakes! Heavens to Murgatroyd, don’t forget those! I don’t like crab, but I take your point.